EcoRise hired me to author EcoPreneurship: a grade 9–12 curriculum that introduces students to entrepreneurship and sustainability through the lens of design thinking. EcoRise hired me to author EcoPreneurship: a grade 9–12 curriculum that introduces students to entrepreneurship and sustainability through the lens of design thinking. 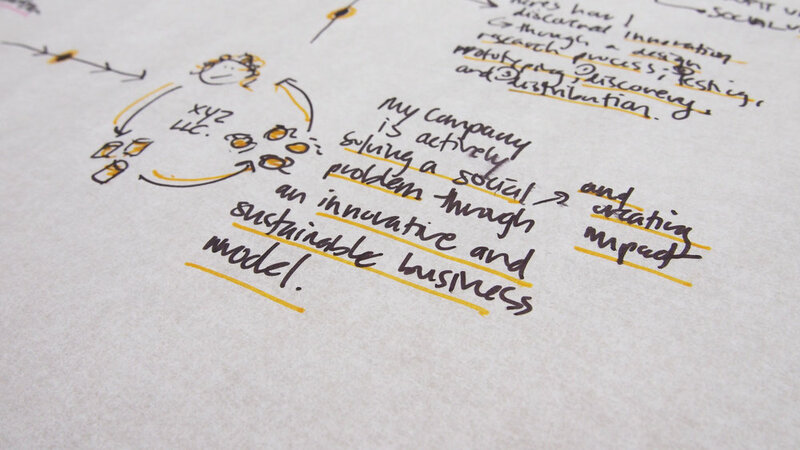 As a designer with a passion for social entrepreneurship, I wanted EcoPreneurship to be an engaging learning experience. The lessons are designed to inspire students to believe they can change the world. In collaboration with illustrator Kizzy Xolani, I made an animation that tells the story of EcoPreneurship. 3. 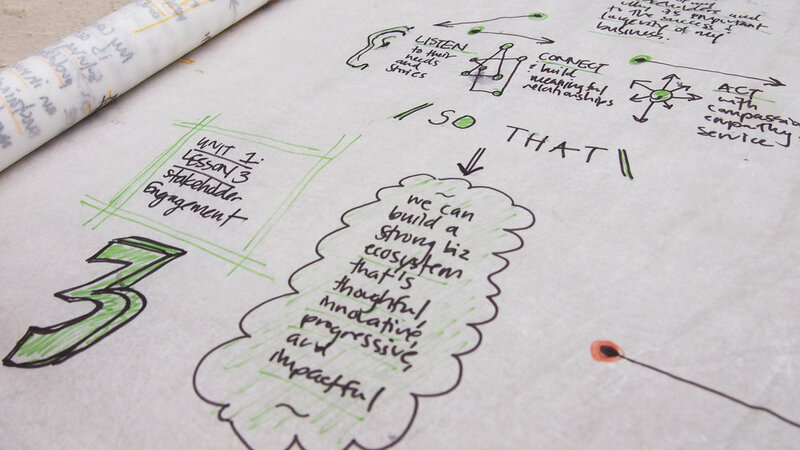 Integrate human-centered design and lean start-up methodologies. I wanted EcoPreneurship to be written like a nicely composed music album—where each individual song (or in this case, lesson) operates beautifully on its own while still belonging to the greater whole. With the framework nailed down, I began writing the content. I pulled inspiration from real-world case studies, human-centered design, agile learning, and Conscious Capitalism. The lessons are written through the lens of the student's experience as they work through their own entrepreneurial journey. In this process, entrepreneurship is demystified and presented in a manner that's simple and relatable to a young audience. Knowing that the entrepreneurial journey is an interconnected, non-linear web of experiences, I drew the units on parchment paper, which helped to illustrate the curriculum's arc and student experience. By testing and learning throughout the process, I discovered the importance of placing the teacher at the center of the curriculum design. Not only was it imperative for students to be engaged, EcoPreneurship had to be simple to teach and aligned with existing education standards. Major lessons came through training workshops I held with teachers to gain quick feedback on the overall experience. In this workshop, I walked teachers through three EcoPreneurship lessons—Pose The Challenge, Stakeholder Integration, and Brainstorm Solutions. I facilitated a workshop with pilot teachers to test some of the lessons and gather feedback. Here, we are mapping their challenges, stakeholders and assumptions. The EcoPreneurship curriculum is aligned to high school business and entrepreneurship courses and integrates real-world case studies and the most current business strategies and thought-leadership.